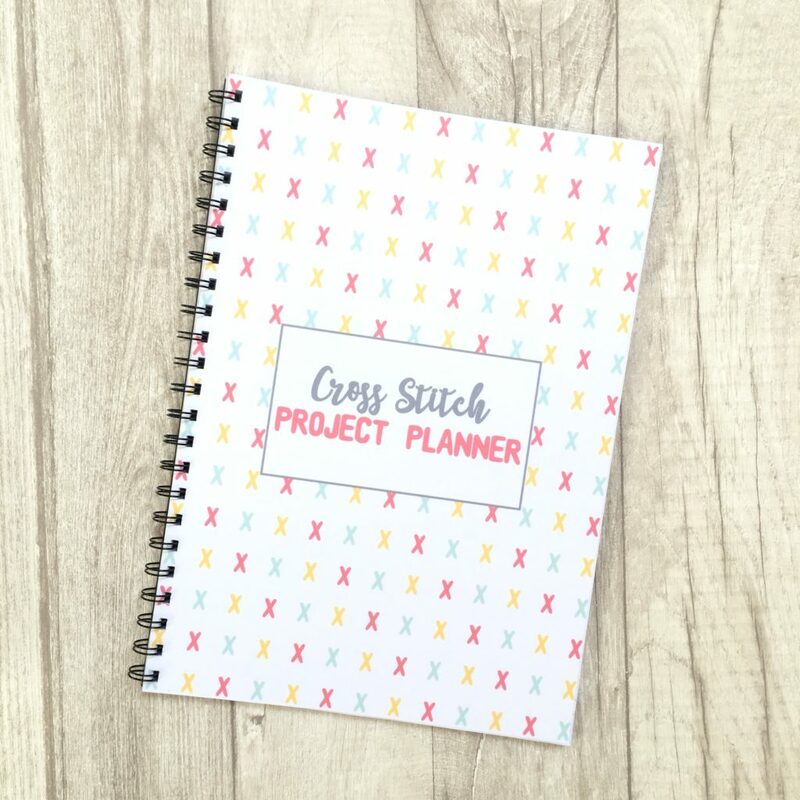 Are you tired of searching through Pinterest for all the cross stitch information you can find? 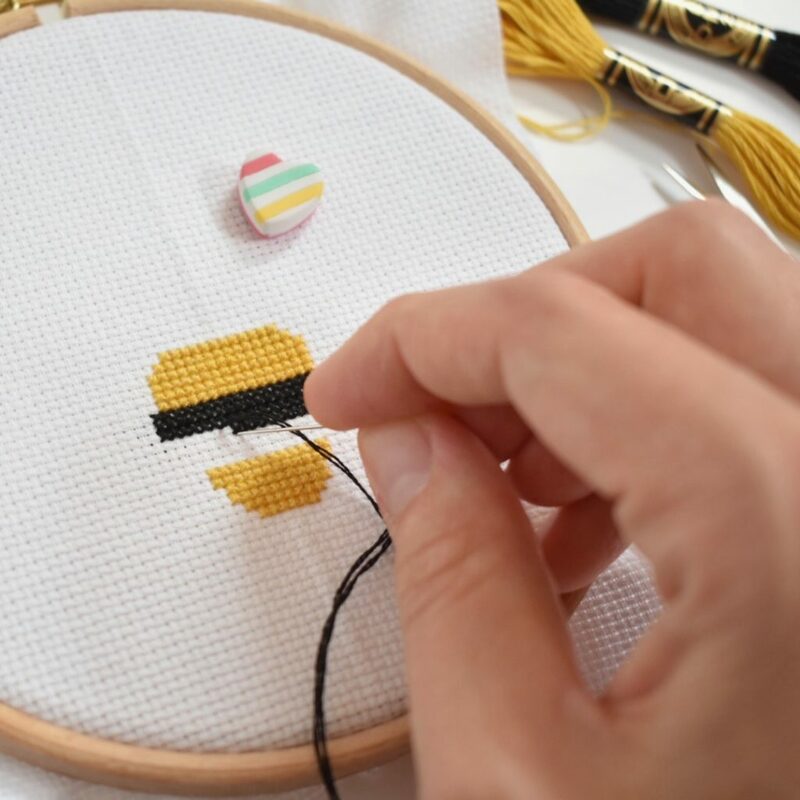 These 10 blog posts will teach you how to cross stitch without scrolling through article after article. 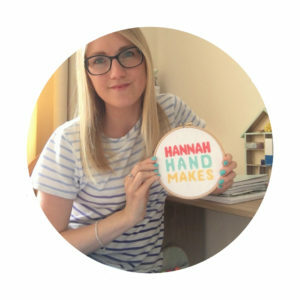 Here at Hannah Hand Makes I’m all about taking the overwhelm of learning crafts and creativity away so you actually get on with the making! 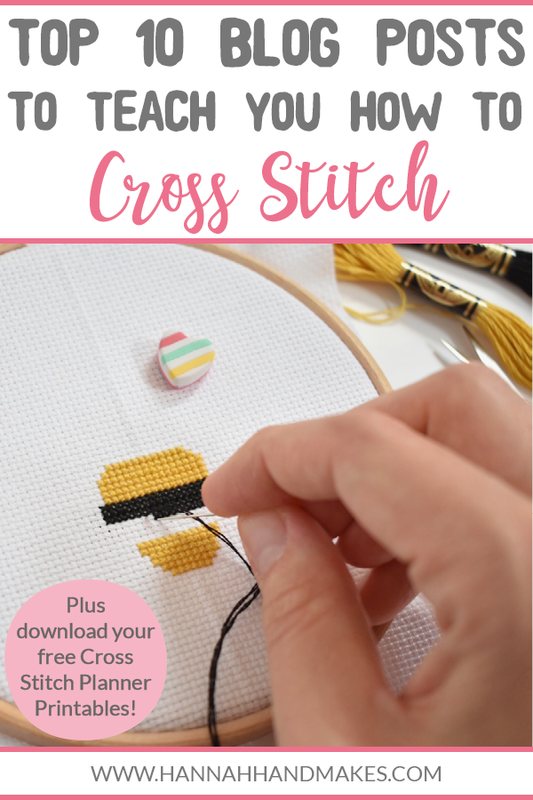 These blog posts are all from my own cross stitch blog and they will teach you the basics of cross stitch plus a few extra hints and tips. 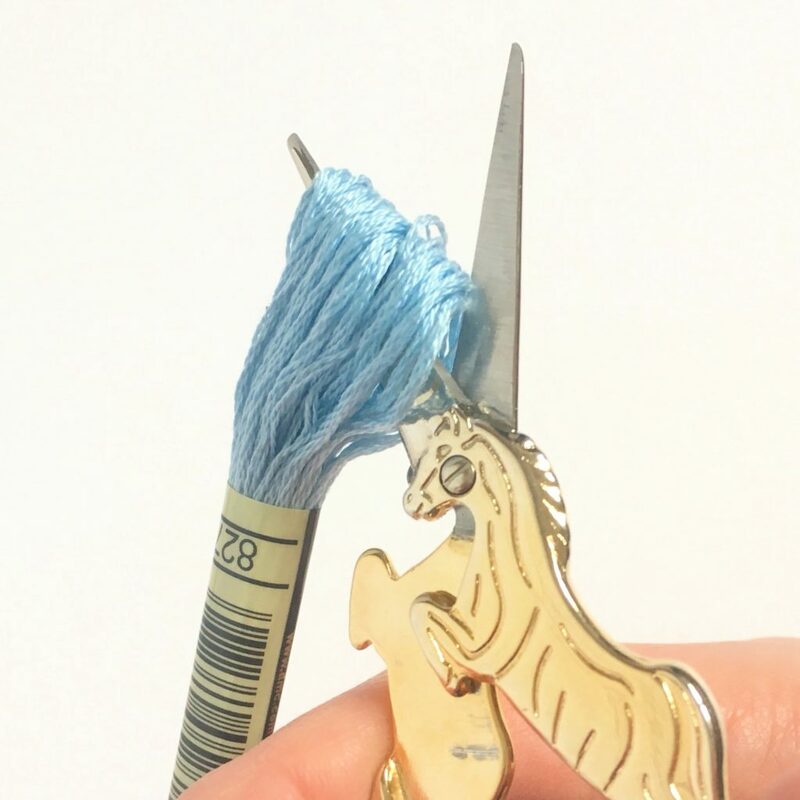 There are are videos, photos, audio files and text throughout these posts to help you learn quickly and get you stitching sooner. Each title is a link that you will take you to the relevant blog post. If you don’t have time to click through them all today then scroll to the bottom to pin the image and save it for later. This one goes without saying really. This guide is full of written and photo instructions, but you can also watch the videos that go along with each step too! Just click on the titles of each step and it will take you right to that video page. 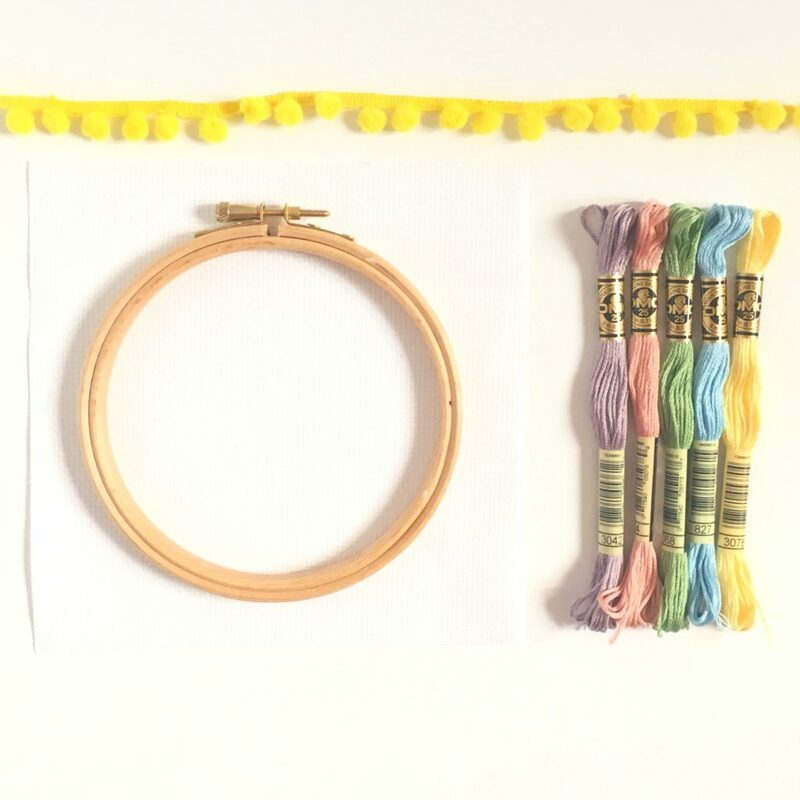 In this post I got through the 6 things you need to get started with cross stitch and share some extras that might come in handy too. Everyone makes mistakes in cross stitch whether they’ve been stitching for 2 days or 20 years. Learning what to do when it happens can make things a little easier though. You can listen along to this post as well as read it. 2 podcast episodes where I talk about all those cross stitch terms you may not know yet (you can read them as well). Another podcast episode with a blog post to read too, I am sharing the 7 things I wish I had know as I started my cross stitch journey which would have saved me time and made stitching even easier. In this post I share the hints and tips I have picked up during my 5 year cross stitch journey and I will also be adding tips from all of you as well! There should be a link to share any tips you want to submit on the post, but if you can’t find it just reach out. Light effects thread is a little bit like marmalade; you either hate it or love it. I love it, but I understand the frustration people have with it so I am sharing all the things I do to make stitching with this sparkly thread a little more enjoyable. 8.What is a Stitch-A-Long and Should You Join One? You may have heard of a stitch-a-long (SAL for short) and seen a few floating around but not really know what they are. In this post I share what a SAL is and reasons why you might or might not want to join one. 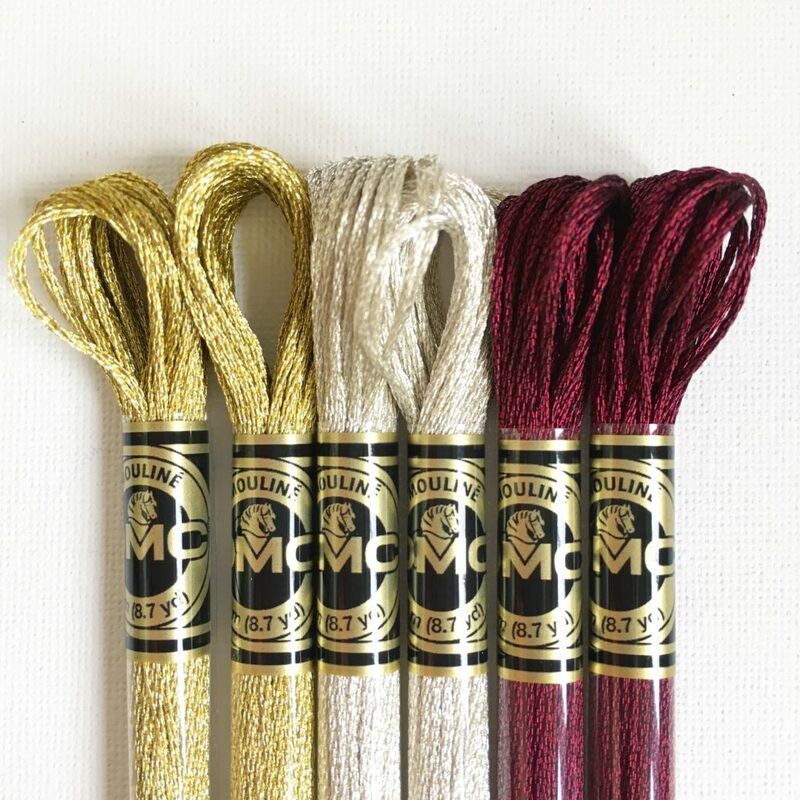 Wondering if you will have time to cross stitch? Yep, I’ve been there. 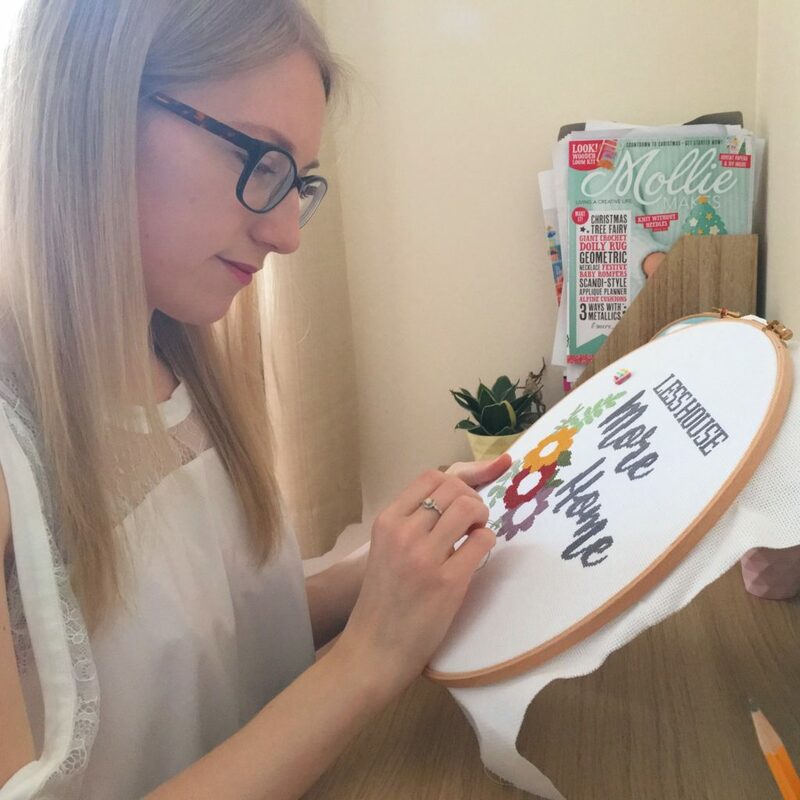 With 2 kids (1 at home full time) and a business to run I always feel like I don’t have the time but I’ve picked up some tricks to squeeze in cross stitch in my full life, and I’m sharing them with you. I hope these blog posts help get you started on your cross stitch journey. As you get hooked on this lovely craft I’m sure you will have many questions so why not join over 1000 other crafters in my Hand Makers Facebook group?